This simple and practical book is specially written for business leaders, working executives and students. The book presents six sigma concepts, philosophy, deployment strategies. 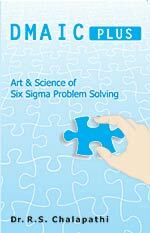 This book describes how the science of six sigma is evolving and presents different approaches and strategies different six sigma companies have adopted and benefitted. This will help the readers to choose the one that suits best or evolve a new approach based on insight. This revised and expanded edition discusses on how to integrate with other quality initiatives - ISO-9000:2000, TS-16949, COPC, CMM, Lean Enterprise and Balanced Scorecard. 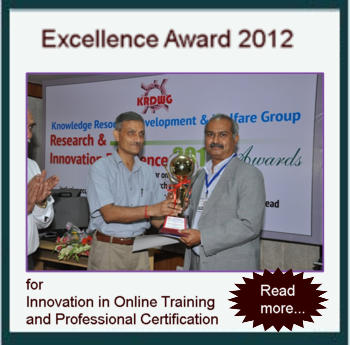 Further, it covers six sigma in software as well as six sigma culture building. This book covers large number of six sigma tools, such as control charts, histogram, cross-tabulation, gage R&R, Multi-vari chart, FMEA, Hypothesis testing, ANOVA, DoE etc. The focus of the book is on the application and interpretation skills. Further, the book covers extensively applications from manufacturing, services, call centers, BPO, Software. The book explains the application of all the statistical tools in the DMAIC methodology. An important feature of the book is the extensive coverage of Microsoft Excel for the statistical analysis. With the help of special templates presented in this book, all the statistical tools can be easily applied without using the expensive statistical packages. 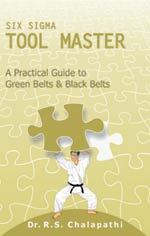 Further, the book covers Black Belt exam of International Quality Federation (IQF), USA. This book presents the 'DMAIC-Plus' model, incorporating two additional stages to the popular DMAIC model to enhance the effectiveness of the six sigma initiatives. Further, this book integrates the Design for Six Sigma (DFSS) into the Improve stage of the DMAIC model. The DMAIC stages are discussed with practical case studies from different industries. The book introduces many formats based on the extensive facilitation experience of the author in different industries and different countries. The application of statistical tools is a very important aspect of six sigma deployment and this book covers extensively, the right application of tools at every stage of DMAIC model.